Cardio doesn’t have to just be from using a treadmill. Boxing workouts offer an alternative, more fun way of putting a moderate amount of stress on your heart so that you improve heart health. But how you choose to place stress on your heart and lungs is up to you. As long as you keep your heart rate up during your workout, there’s no reason you can’t punch, kick, and jump your way to a healthy heart at your local boxing gym. Kicking and punching requires strength and this is increased During a boxing workout, you may punch or kick a bag hundreds of times, requiring your upper body, lower body, and core to engage as you make contact with the bag. Plus, most boxing gyms incorporate other strength training moves into a boxing workout. For instance, when I took a class at a local 9Round, I did squats, pushups, planks, and weighted medicine ball exercises all within the context of my fast-paced 30-minute circuit workout. You may not think about the importance of hand-eye coordination and its effect on total health, but hand-eye coordination plays an important role in a person’s gross and fine motor skills. Individuals with good hand-eye coordination tend to have faster reflexes and reaction times, and tend to have better physical coordination as a whole. This is particularly important during aging, as coordination and balance become compromised, increasing the risk of falls. Punch lighter on the bag so you can last more rounds, keep your form together, and punch sharp. This will allow you to get in more minutes of quality bagwork. You want to have energy to hit the bag with correct form and keep your punches snappy, instead of spending most of your bagwork panting and huffing. Keep hydrated by drinking plenty of water. One cup every hour minimum! Check out the video below for tips on how to use boxing equipment effectively! This heavy punching bag weighs 130 pounds. Thanks to the heavy duty vinyl outer of this 6-foot-long bag, it makes for easy cleaning and is filled with compressed fabric rather than sand as this prevents settling and empty spots. It comes with four straps to hang it by, too. 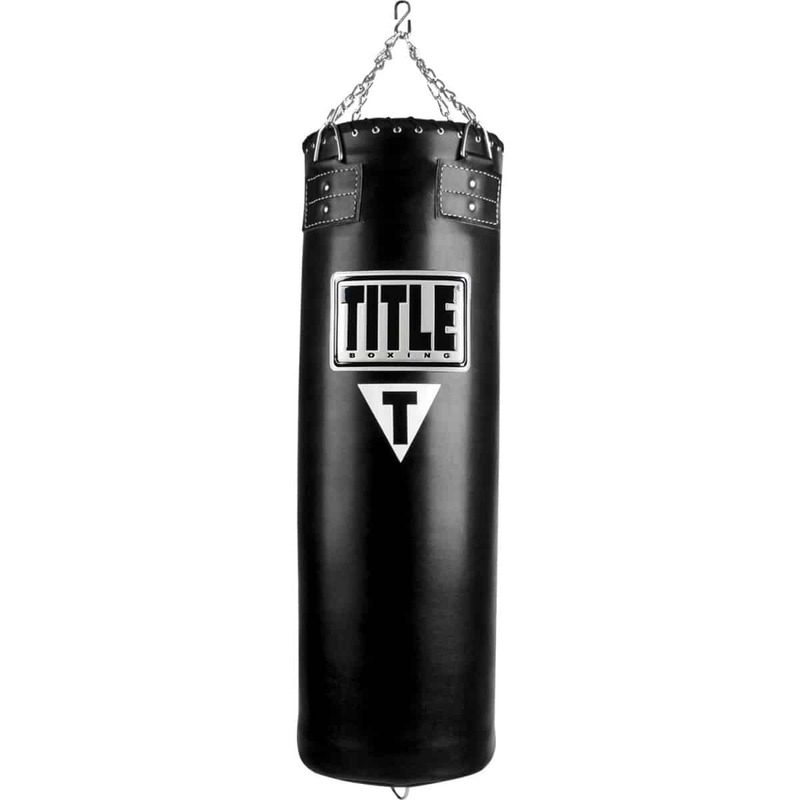 It’s a durable punching bag which has a ten year warranty. It might not be suited to aerobic fitness users but is great for MMA or Muay Thai fighters looking for a reliable punching bag to train with. This bag comes with a high price due to it being made from top of high-quality cowhide leather and extra reinforced seams. While the price is hefty, you can be sure that it's durable and will hold up to years of use. It comes equipped with chains and a swivel for hanging, but because it's 150 pound, it may not be suitable for those looking for a light workout. It would make a great addition for athletes of more experienced levels. 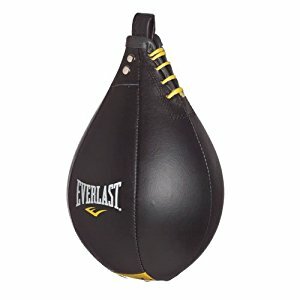 If you’re looking to learn how to get a good rhythm in your punches and faster hand speed, the "Speed Bag" by Everlast is an ideal choice. It might look easy, but speed bagging takes some serious practice and coordination. This punching bag has a solid construction and is solidly built. It comes in a number of sizes and offers accurate and fast rebound. The only downfall is it needs to be pumped with air regularly as it loses air quickly. This bag weighs 100 pounds, but don't worry — it comes with a chain and swivel to make hanging it a breeze. Inside the bag is a foam liner that makes both punching it feel better on your hands, while providing durability for the bag itself. 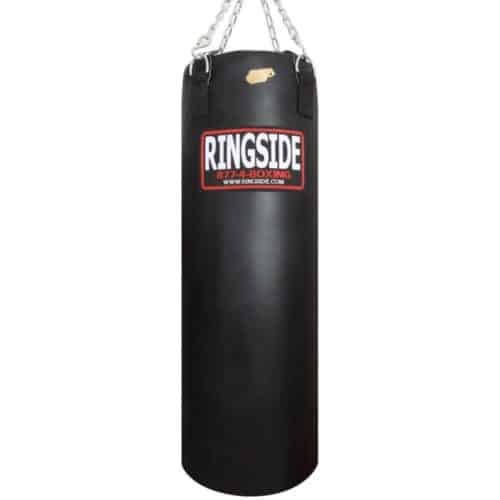 The punching bag has a solid, durable construction which gives users a supple and consistent feeling when punch it. The synthetic material used resists weather so it’s perfect for those who want to train outdoors. The only downfall is that the surface is quite slippery so you can misplace your shot. 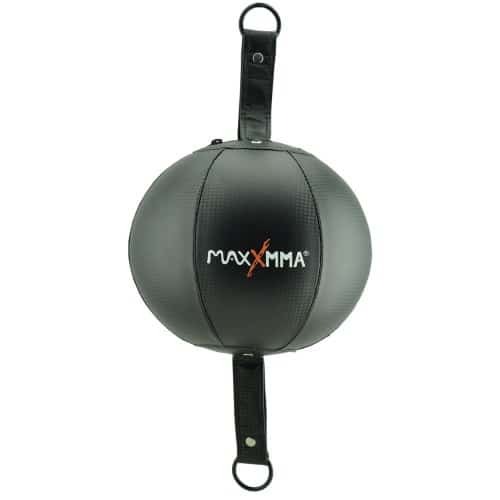 The MaxxMMA Double End Ball can help you sharpen your punching, timing, speed and reflexes. The kit comes with everything you need to get started and can accommodate various purposes and users. The only con to this particular boxing equipment, is when you go to fill up the punch bag for the first time, the air hole can be difficult to find. 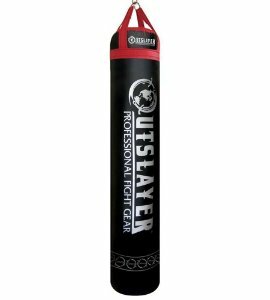 After comparing the top five boxing equipment, it is clear the winner is the Outslayer Muay Thai Punching Bag. 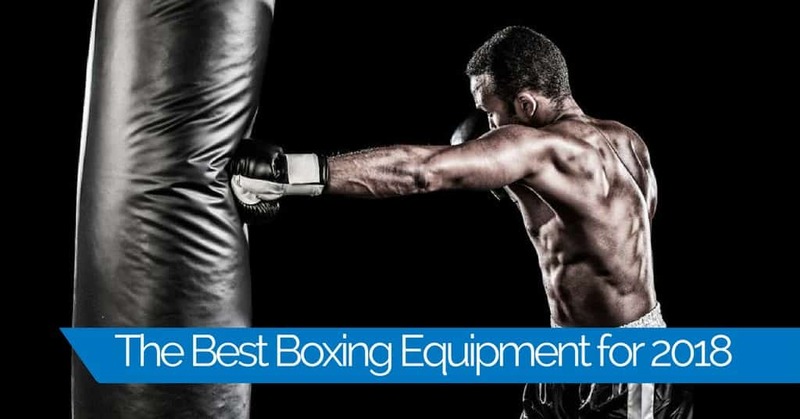 If you’re looking for easy to use boxing equipment, this is an ideal choice. The high-quality design and durable construction make the punching back a reliable piece of boxing equipment for most users.